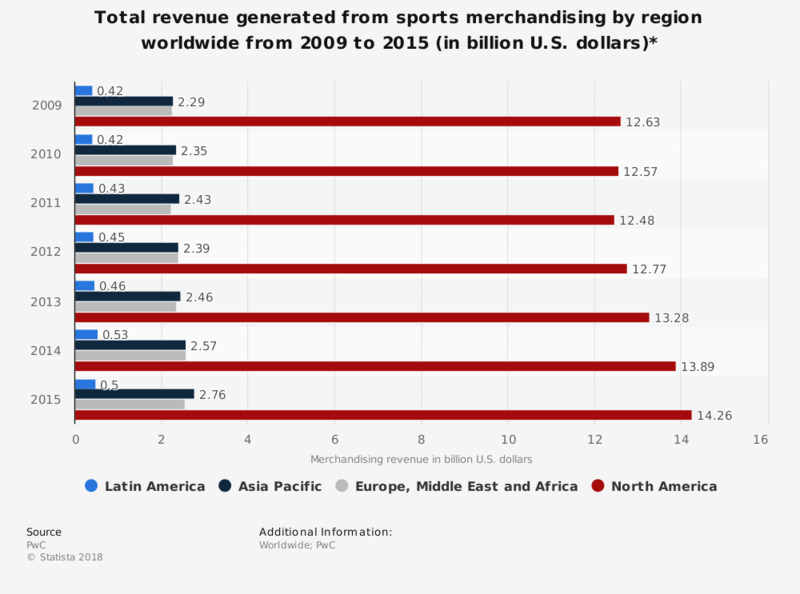 This graph depicts the total revenue generated worldwide from sports merchandising by region in 2010 and corresponding revenue forecasts for the years 2011 to 2015. In 2011, the projected revenue for the Asia Pacific region was 2.43 billion U.S. dollars. * The figures given for the years 2011 to 2015 represent forecasts.